No matter the circumstances, you likely don’t want to have to wait months and months to find a buyer for your home. Unfortunately, that’s what often ends up happening. 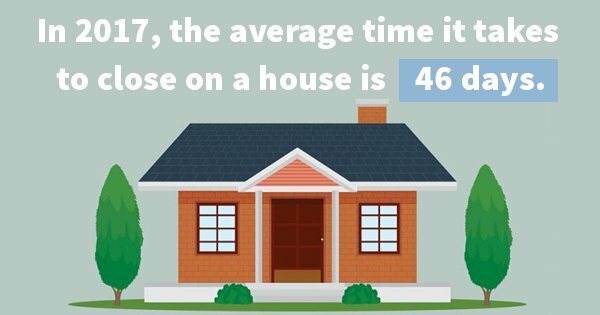 In 2017, the average time it takes to close on a house is 46 days. Whether due to stressful life events or mere impatience, you might not be able to wait even that long. However, there are ways to speed up the process. When you need to sell property fast, you’ll want to consider some of the following four tips. Price to sell: If you’re planning on selling your home through an agent or on your own, you’ll need to be realistic about what it’s worth. A lot of folks assume that you can simply lower the price later on if you’ve initially priced it too high, but that method might end up taking even longer and fetching an even lower end price. Remember that the first 30 days are critical; if buyers and their agents see your asking price is overly inflated, they’ll probably assume you won’t be willing to negotiate. When it comes to selling a home quickly, you must do your research and price it correctly from the start. Boost your curb appeal: For those who can’t afford to make substantial renovations before selling, there is one key area it pays to focus on. Amp up your curb appeal by planting flowers, painting the front door, or even just replacing the mailbox or the outdoor lighting. It doesn’t take a huge investment in terms of time or money, and it can really make all the difference when buyers come to view the house. Creating a welcoming atmosphere right from the get-go often translates into fast home sales, even when not much else has changed on the inside. Declutter and depersonalize: When selling your home the traditional way, you’ll need to remove the clutter and most of the personal touches. This doesn’t mean you should make your home look as if it’s never been lived in, but you will want to pare things down. Get everything down to the necessities and remove furniture and knick-knacks that take up space in an unattractive way. You should also remove any family photos or religious items to ensure buyers can really visualize themselves in your space. That way, they’ll be focused on how soon they’ll want to move in rather than on how much they’ll have to do to make the home feel like their own. Work with an investor: These tips can make a difference in how quickly your home might sell when going the DIY route or working with an agent. But the bottom line is that these will still require some time and effort, as well as additional finances. And even if you do make these changes, there’s no guarantee your home will sell quickly. If you’re in a time crunch or are simply eager to start a new chapter in your life, you’ll often be better off selling your home to an investor. No additional work, time, or money will be required on your part here; you’ll get a fair, all-cash offer from your investor and will be able to close on your home quickly without jumping through all of those typical home-selling hoops. Many sellers find that this solution allows them to get a fresh start without the wait. 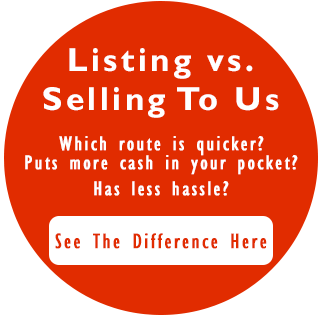 When selling your home quickly is an absolute must, you won’t have time or money to waste. That’s where our investors come in. To find out more about how we can help, contact Ittenbach Capital today.